“The Travertine Field” formed thanks to favourable natural conditions in the village of Bešeňová. In fact, travertine is soft limestone rock and its formation is affected by plenty of factors – water temperature, chemical contents of water, presence of organisms and CO2 in water, geological background, etc. The natural monument Bešeňová Travertines spreads to an area of 3.18 ha. The cascades of this exquisite limestone formation are shiny thanks to mineral water, which continuously streams down. This water does not contain only calcium carbonate but also magnesium, sulphur and iron. 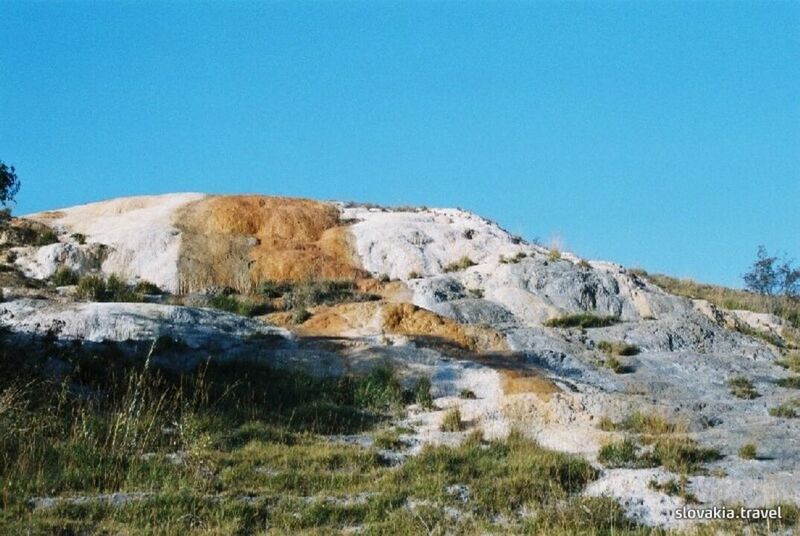 That is why the travertine formation in Bešeňová is extraordinarily colourful. What is more, this travertine was used for producing of golden yellow boards, which even decorate the building of the Comenius University in Bratislava, or the Palace of Nations in Geneva! Bešeňová Travertine Formation is neither the most monumental nor the biggest travertine formation in the world, but still it is one of the most interesting ones thanks to its manifold structure. Just 300 m from the Bešeňová Thermal Baths, this guest house in the village of Bešeňová offers modern spa facilities, spacious rooms with free WiFi available in all areas, free monitored private parking and traditional Slovak cuisine.